Penelope blank needlepoint canvas is a double weave canvas. Penelope needlepoint canvas is used for projects where the stitcher wants to combine gros point and petit point. It is a strong canvas and so ideal for upholstery and other projects that might get some wear and tear. mesh size 10/20 holes per inch only (10 large holes, 20 total holes). Penelope canvas comes either 24" or 36" wide. 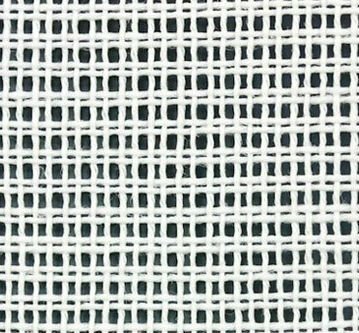 Penelope is a double mesh, or double weave canvas. We can ship your canvas rolled or folded. The cost to ship it rolled is higher so please select accordingly. Rolled shipping is not available for international destinations.